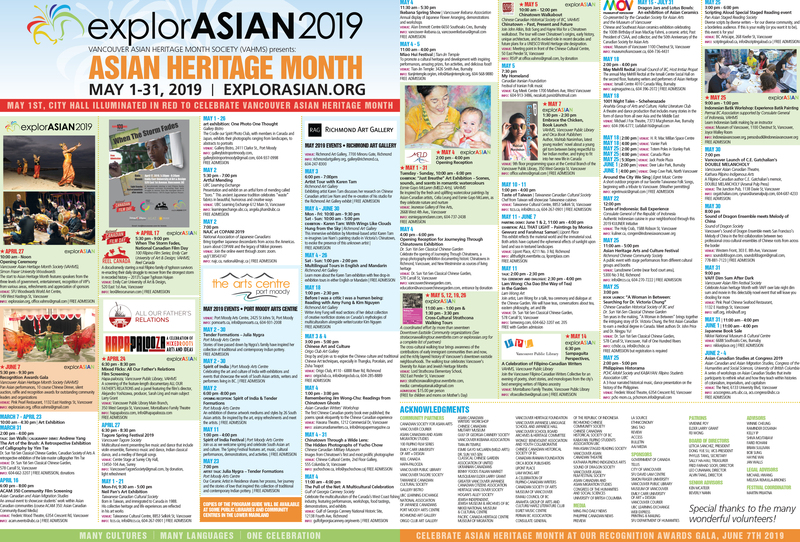 In conjunction with Vancouver Asian Heritage Month Festival. The concept of Pan-Asian heritage is a complex network of intertwining histories and meanings. Mirroring the festival theme, this exhibition features a group of Asian women that have come together in Vancouver from vastly disparate backgrounds and experiences, sharing their common threads and celebrating their unique backgrounds. Each carry with them their own threads of identity, a link to their ancestry. Through the experience of the city each find integration within a community while maintaining their separate identities. as a woman, an Asian woman, and an artist; each one tangling and unthreading their experiences and meanings through their chosen medium of investigative expression. This exhibition aligns with the goals of the Vancouver Asian Heritage Month Festival in that it brings together a unique confluence of pan-asian identities who are producing work that seeks to illustrate, challenge, understand and celebrate the common threads and cultural differences which together, make Vancouver a uniquely vibrant and global multicultural city.